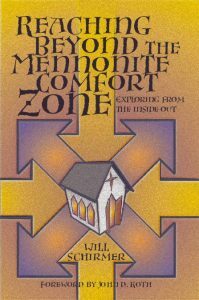 Summary: Here is a resource for Mennonites who wish to reach “beyond the Mennonite comfort zone.” The Mennonite church is undergoing historic transitions: New denominational structures, a new vision, a new focus, and a new spirit of mission-mindedness—or as Mennonites now put it, being missional. These exciting changes require rethinking of relationships with each other and with people beyond Mennonite congregations, as Mennonites seek to fulfill the great commission of linking the message of the gospel with needs of surrounding communities. “In times past I’ve wondered: What would I do if anything were to happen to my husband Craig? Would I return to New York where I was raised? 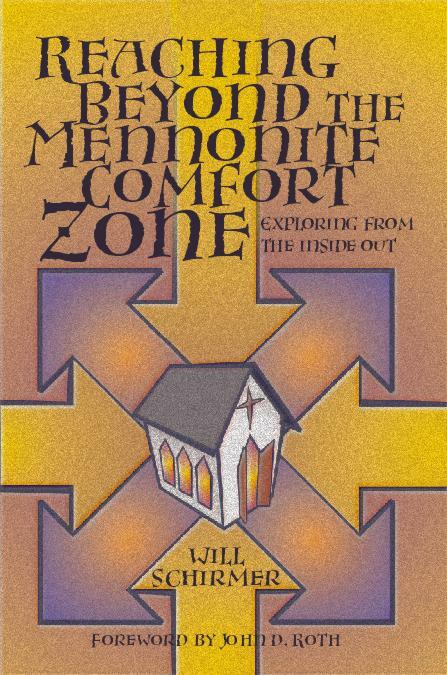 Would I still feel like I could be part of the Mennonite church? Is it really my home too? But it is very clear that the Mennonite church is my home and that my welcome is not based on my marriage to “one of your own.” Thanks to all who helped make the room for me that Will Schirmer is inviting us to keep making for others. Let’s keep making room. Market: Church leaders, pastors, congregational study groups; anyone interested in exploring how visitors are received in a Mennonite church, how new members are (or aren’t) assimilated, and how both long-term and recent Mennonites approach the many aspects of church life.